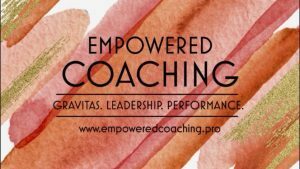 We are happy to announce our partnership with EMPOWERED COACHING specialising on developing gravitas, leadership, performance, motivation, stress management, communication skills, time management, lifestyle and many more wonderful things. Well-being and professional beauty treatment that treat the skin, mind and body are at the heart of Baltic Beauty Studio’s philosophy. Coaching is a very powerful tool that can help you unlock your inner potential, reach life and work goals, find success and happiness, boost motivation, increase confidence and self-esteem, achieve positive, long lasting change, fine-tune your life and make it more fulfilling. Baltic Beauty Studio offers a magnificent experience to renew the body and calm the mind. Enhance the experience of being pampered with our special deals exclusively designed in partnership with Empowered Coaching. Results promised…Results achieved. Please visit http://www.balticbeautystudio.co.uk/pamper-packages/ to choose our amazing pamper packages which will bring excellent and truly astonishing results.